In 2017, Vietnam saw 12,922,251 international visitors exit its airports’ terminals looking to get a taste of what the country is all about. That number is an increase of 29.1% over the same period last year according to the Ministry of Culture, Sports, and Tourism. As new guests continue rolling into Vietnam, the demand for quality made-in-Vietnam products has revealed a disconcerting gap in the market. Luckily for those visitors, there’s a new brand working hard to show the world just what kind of quality Vietnam is capable of producing. 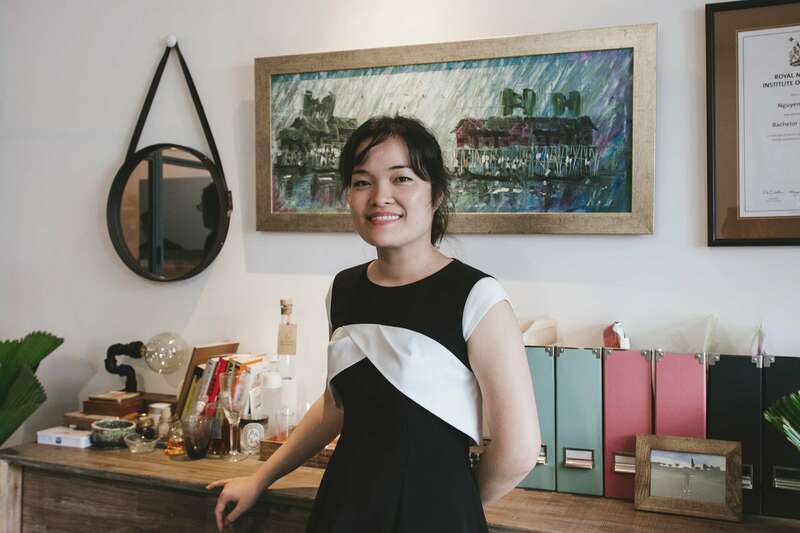 Meet Huynh Nha Mai, Brand Manager of Tick and Pick, a creative company that has put together a high-end selection of curated novelty gifts for the traveler (and for us too). Why should people visit Vietnam? Vietnam has a little bit of everything, not to mention it’s an extremely affordable place to travel. We have colonial relics, ancient temples, a diverse cuisine, stunning natural beauty, and a variety of ecosystems. The Vietnamese people are also a very loving and welcoming bunch. They are curious and proud to show their country to the world, and that’s something you won’t get in too many countries that see a lot of tourism. What are some must-see places in Vietnam? Saigon and Hanoi are both destinations that every traveler should visit. Hanoi is home to many historical and cultural landmarks such as the One Pillar Pagoda, Hoan Kiem Lake, and the Temple of Literature. In Saigon, visitors can discover many esteemed sites as well, including the Reunification Hall and the Ho Chi Minh City Municipal Theater. What makes Hanoi and Saigon so different? Both cities have their own intrinsic beauty. Hanoi is the capital city and life moves at a much slower pace than Saigon which is more fast-paced and business-driven. Places like the Old Quarter in Hanoi almost feel like they are in a time warp to me. Personally, I feel that Hanoi is also a bit more reserved, while Saigon is quite outgoing and dynamic. The natural landscape is another important thing to consider. Each region offers up completely different experiences. The north is very mountainous with places like Ninh Binh, Halong Bay, and Sapa easily accessible from Hanoi. Saigon and the southern region draw an equal amount of tourist attention although the scenery is very different—the waterways and floating markets of the Mekong Delta are very alluring. Then there are destinations like Can Tho, and islands like Phu Quoc and Con Dao. Souvenirs are often overpriced low-quality items. What makes Tick and Pick’s souvenir collections different? 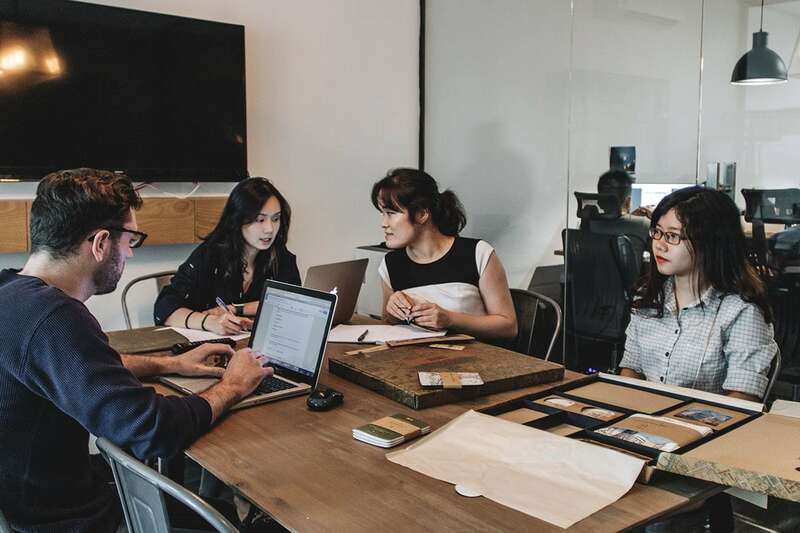 We are a young, forward-thinking team and we put all our energy into focusing on practical beauty. Tick and Pick aren’t interested in useless items that people will just put on a shelf and forget about. Instead, we want our products to share Vietnam’s story with the world. For us to translate this narrative successfully, we knew we needed to feature items that are tailored for everyday use—objects like canvas tote bags, magnets, and coasters. Our hope is that these gift pieces serve as a constant reminder of Vietnam. But what makes our souvenirs different from the rest? Firstly, we strongly believe that any souvenir you buy should be locally manufactured. And in Vietnam, as well as many other countries, this simply isn’t the case. Why would you go to Vietnam and buy a souvenir that’s made in China? That makes no sense. We are proud to say that every single one of our items is 100% made in Vietnam. We’re not in the business of mass-production. We hire Vietnamese artists to share their vision of life in Vietnam, and we want to support this. It took us over a year just to design the packaging, and we used all eco-friendly materials. For a single souvenir kit, we might have had ten people working on it. 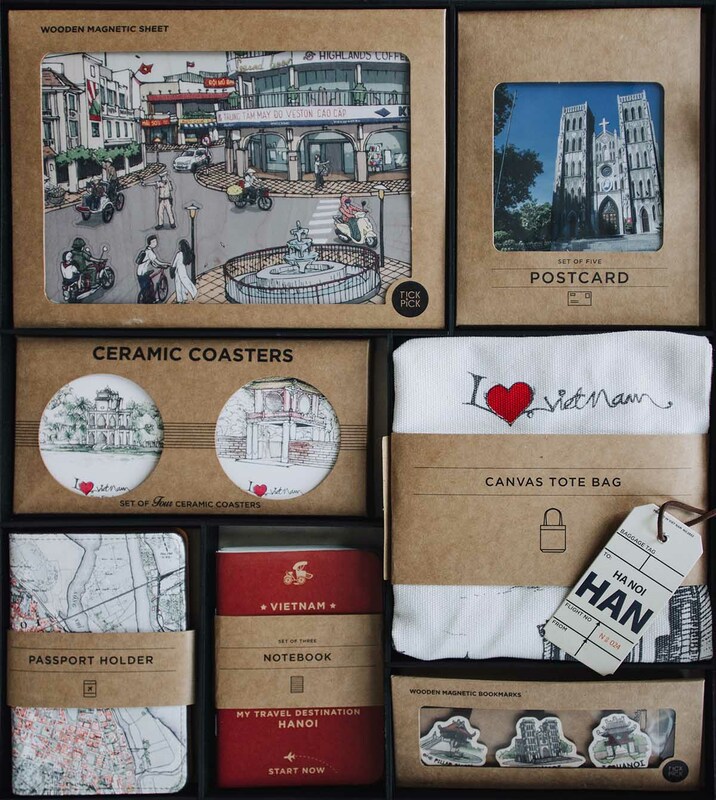 And right now, our Hanoi and Saigon souvenir kits are our best sellers. 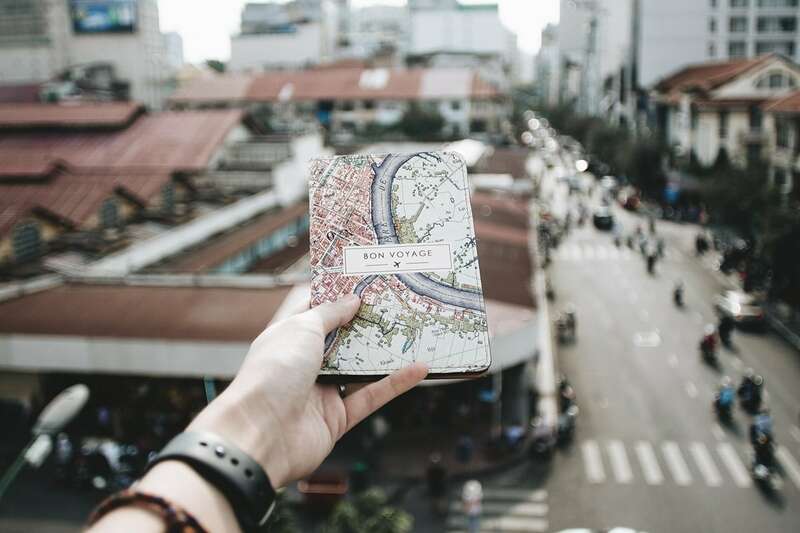 What kind of items can we find in your Hanoi and Saigon souvenir kits? The Tick and Pick wooden magnet sheet is one of my personal favorite pieces. We hand drew the designs before printing them on high-quality natural maple wood. 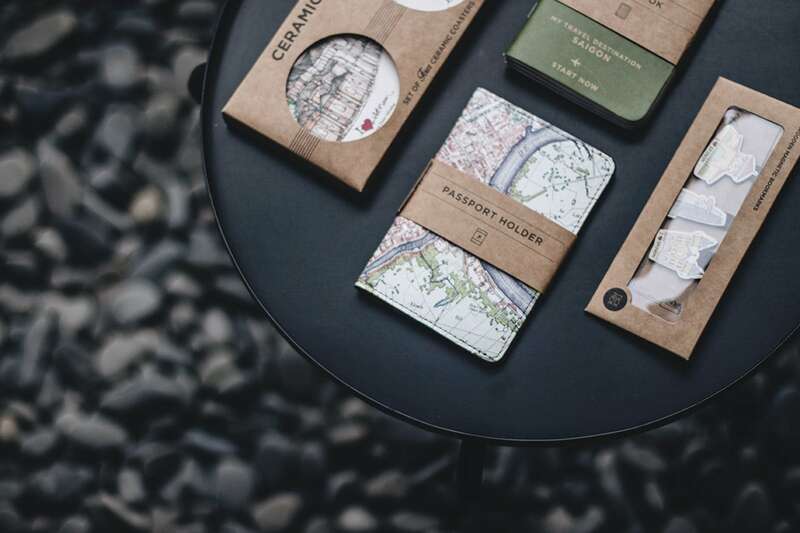 Also included are our ceramic coasters, quality stock-paper pocket notebooks representing Vietnam’s three primary airports, and waterproof passport holders made from genuine leather. 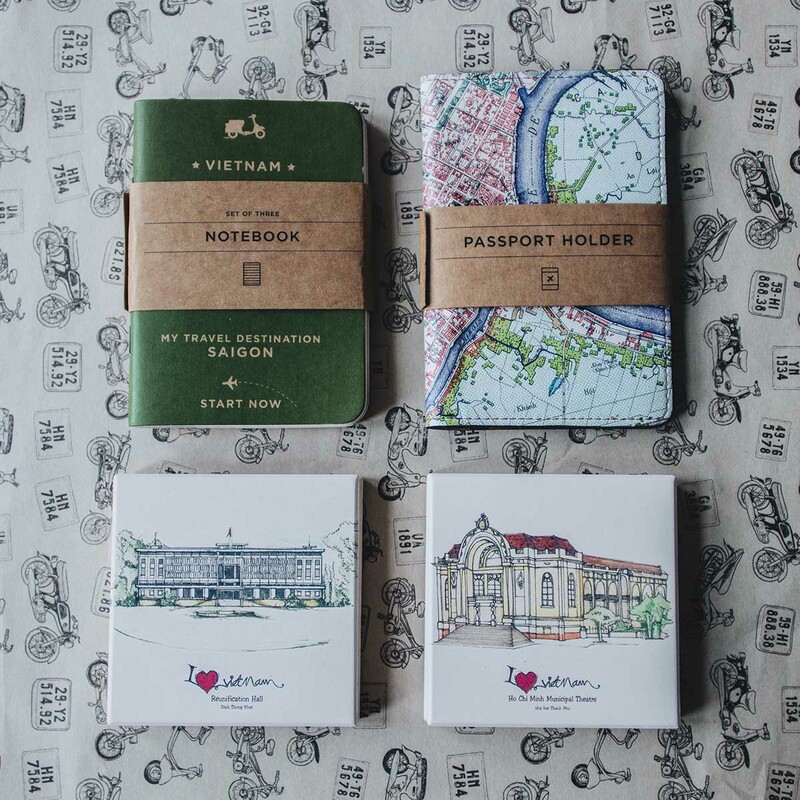 Additionally, we feature canvas tote bags, and wooden magnetic bookmarks with hand-painted images of iconic landmarks like the One Pillar Pagoda, the Temple of Literature, Saigon Notre-Dame Basilica, and Saigon’s historic Central Post Office. Where can we buy your souvenir kits? You can buy Tick and Pick’s Saigon and Hanoi kits at The Craft House on the first floor of 28 Nguyen Trai street, or at 53A Nguyen Du in District 1. The Craft House were Vietnam’s very first curated retailer of modern handmade crafts. They are doing an incredible job bringing Vietnam-made, world-class products to customers from across the world.